This article will explain how you can create a mileage claim if you pay for the fuel and get reimbursed for your mileage. 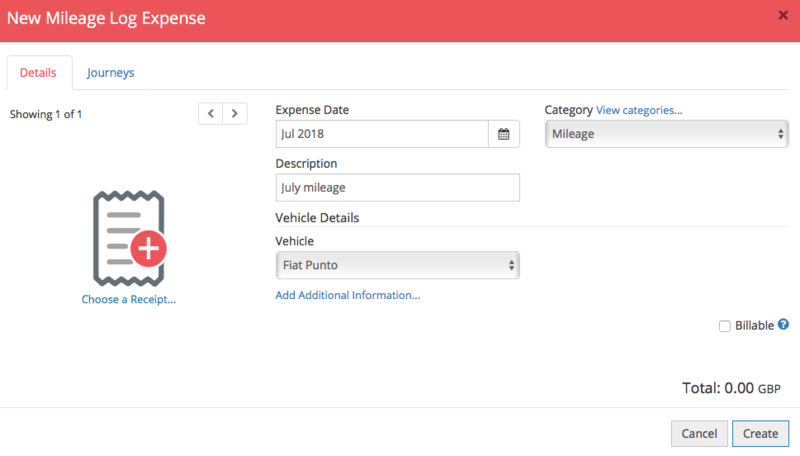 This mileage log has been designed for users who have a company vehicle and are reimbursed for the petrol. Click the mileage log icon. 2. By default, the date and the description will be populated for you. You can amend these to reflect your preferred date and description. 3. Your vehicle will have been created for you by your account administrator (unless they give you permission to do this yourself). 6. Navigate to the Journeys tab. 7. By default, the date will be today's date but you can change it. 8. You should enter a description for your business journey. 9. You should enter the from and to journeys. You have the option to duplicate the journey and do a return journey. ExpenseIn uses Google maps to calculate the distance for you. This can be changed by manually amending the distance. 10. 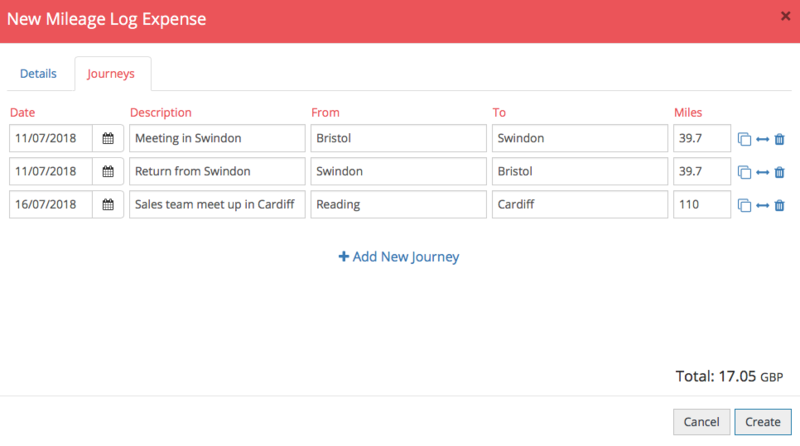 You can add more journeys to your log by clicking Add New Journey. You can click Create to add that log to your Draft area. This means that you can continue to add more journeys throughout the month. 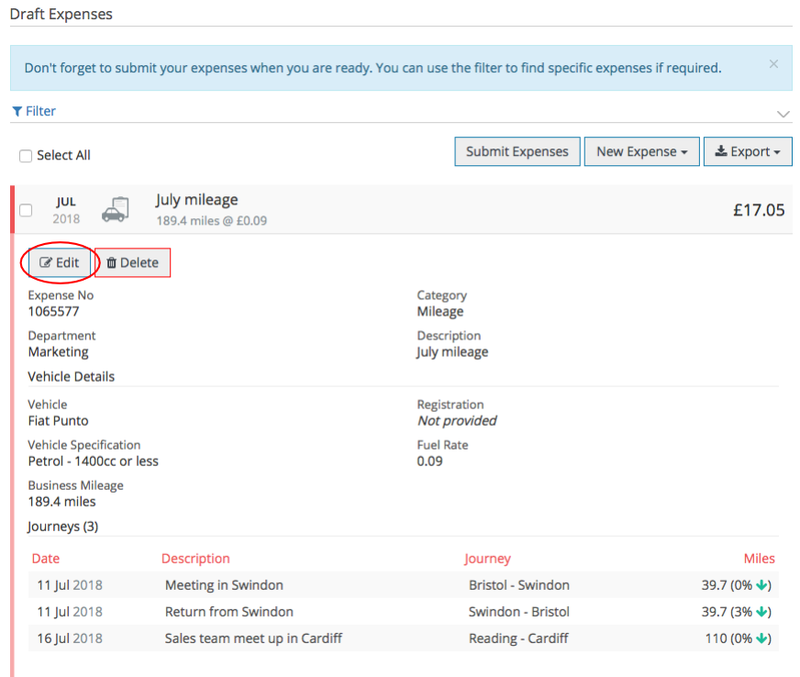 To add more journeys, simply expand the claim and click Edit. You can navigate back to the Journeys tab and add extra journeys following above steps 7 - 10, once you've finished click Update. The system will use the mileage that you have incurred and the fuel rate assigned to your vehicle to work out the reimbursable amount.